A comic book writer and artist who's had a hand in the creation of some of the industry's most famous characters is coming to Thunder Bay this fall. A comic book writer and artist who's written or drawn some of the industry's most famous characters is coming to Thunder Bay, Ont. this fall. 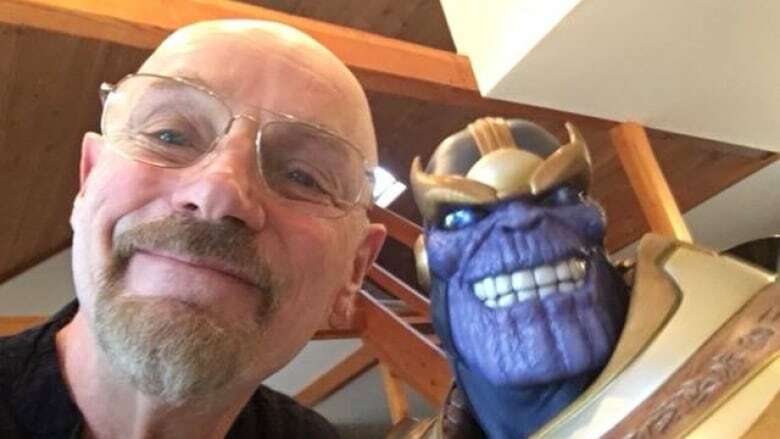 Jim Starlin is appearing at the 2018 edition of ThunderCon, which is scheduled for October. Starlin's career as a writer and artist stretches back to the 1970s. He's written or drawn major characters like Batman, Superman, the Punisher, Daredevil, the Hulk, Captain Marvel and the Flash. Starlin also co-created Marvel supervillain Thanos, and created Gamora and Drax of Guardians of the Galaxy film fame. Heather Dickson, ThunderCon's media manager, said Starlin will be appearing on panels, and signing autographs while in Thunder Bay. "When he's here, he just wants to be meeting fans, chatting, autographing," Dickson said. Dickson said the support ThunderCon has received from Thunder Bay and its residents is allowing the festival to take more risks and book bigger names. "That gives us a safety net," she said. "It's not like we're going out on a limb, because we don't have business backing. We're not an expo — we're fan run, and nobody gets paid. It's just all volunteers." "We're just doing this because it's an awful lot of fun, and because we would have loved to have gone to something like this in Thunder Bay when we were young." Voice actor Vic Mignogna (Fullmetal Alchemist, Star Trek Continues, Dragon Ball Z) has also been announced for this year's ThunderCon, and Dickson said more guest announcements will be made in the coming weeks. ThunderCon will take place Oct. 27-28, 2018, at the Valhalla Inn.